The eye mask is made of breathable silk on both sides; The soft silk surface and the inside lightweight breathable fiber provide comfortable feeling for your eyes. The sleeping mask has a strap which is easy to adjust to fit your head size and will not tangle hair. The eye mask comes with a transparent and portable frosted bag which is easy to save space for your convenient carrying when going out for travel or business; You can wear them to sleep at home, in a hotel, on the car or on the plane. 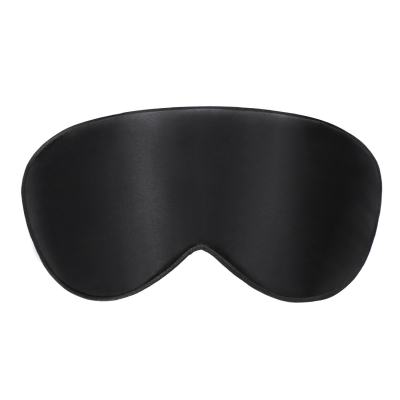 The sleeping mask cover is black, popular color for both men and women; It is your good choice to send it as a wonderful gift for your friends, relatives, workmates, or other people. Moreover, you can get a better relaxation during yoga or meditation by using the comfortable eye cover. And the travel sleep mask is a useful tool to keep your eyes shielded, so you will not be affected by light when sleeping.